Help! We are stuck in Las Hadas! We don’t ever want to leave! During the day, it is warm and sunny. In the evening, there is a breeze and it cools off just right. Peter made friends with the Las Hadas Marina harbor master and each day he brings me to shore for yoga, he goes in to pay the dinghy fee and visits with Adrian. After lunch we lounged by the pool. The waiter in the white uniform delivered an ice cold cerveza. When I got too warm I jumped into the cool clean water. When I got chilled I moved my chaise to the sun. By 6:00 pm we were ready for dinner. We walked to The Paradise Restaurant. For less than $20 total we had margaritas, chips, several kinds of salsa, and shrimp fajitas. We listened to the surf as the sun set behind the mountain and the bay was blanketed with darkness. Penelope’s anchor light began to illumine. Before dark we dinghied home. And so it goes at Las Hadas. 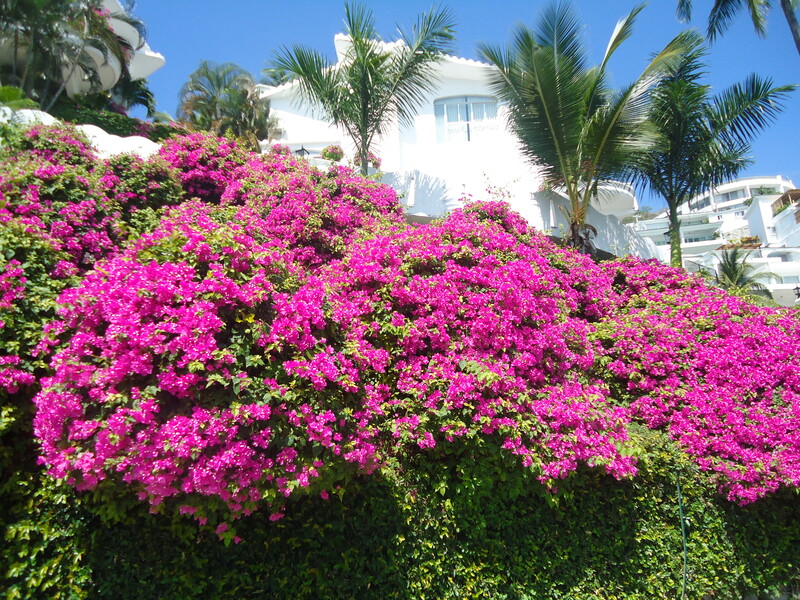 This entry was posted in Travel Log and tagged Colima, Las Hadas Resort, manzanillo, Mexico Las Hadas Help. Bookmark the permalink.